Low-Level Laser Therapy (LLLT) also known as photobiomodulation is almost 50 years old, and recently has been getting increasing acceptance from the scientific, medical, and veterinary communities. Discoveries are constantly being made about the cellular and molecular mechanisms of action, the range of diseases that can be treated is also rising, and home use LED devices are becoming common. This book compiles cutting-edge contributions from the world’s leading experts in Photobiomodulation and LLLT. Chapters cover general concepts, mechanisms of action, in vitro studies, pre-clinical animal studies, veterinary applications and a wide range of clinical topics. 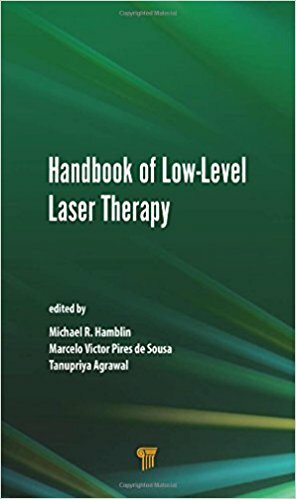 Edited by Michael Hamblin from Massachusetts General Hospital and Harvard Medical School, aided by two prominent researchers (Marcelo Sousa and Tanupriya Agrawal), this book will appeal to anyone involved in the basic science, translational aspects and clinical applications of LLLT.